Weekly photo challenge: (Extra)ordinary…or knot? 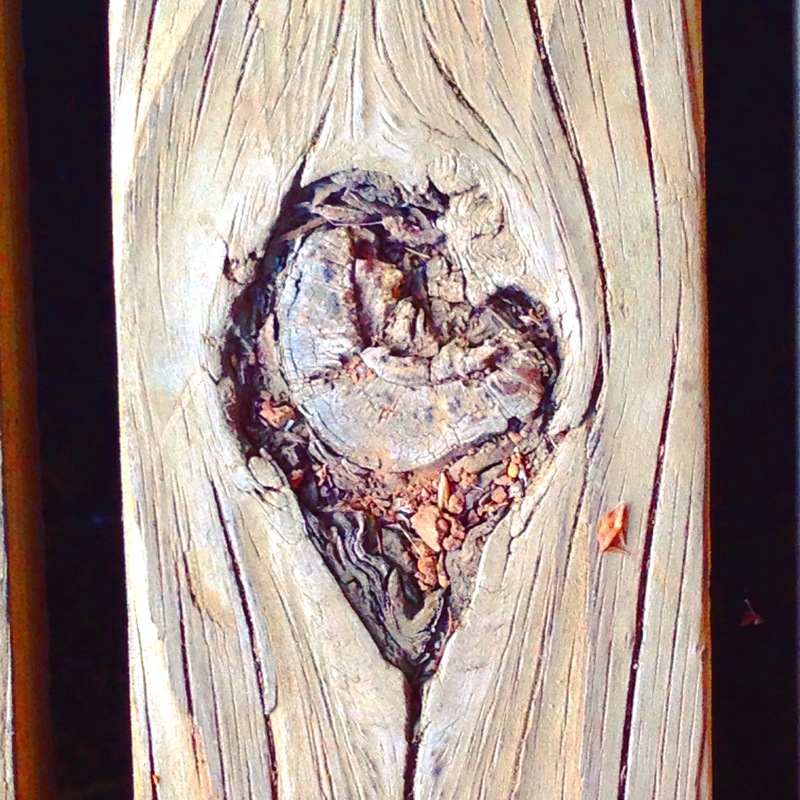 As I was sitting in the late afternoon sunshine after a hard day at work, I looked down and saw this knot in the timber on my verandah decking. I immediately thought it looked like a heart and then I saw a baby in the womb inside the heart! Both of these things are beautiful and meaningful to me. How extraordinary to see something so beautiful in such a mundane piece of hardware. What can you see inside the knot? Amazing what you are able to see when you just take a moment to look. Terrific.